I’m a writer and a parent, and fellow parents email me all the time, asking how they can help their kid become a creative writer. It’s not like these parents are pushing their kids into creative writing. Far from it. Their kid is writing stories at nighttime, under the covers with flashlight, and filling notebooks with pages of words which they call their “book.” Their kid is practically begging them to teach them how to write creatively, but the parents often don’t know what to do. Over the years I’ve perfected an email I send to these parents, and now, for the first time, I’m sharing the contents of that email online. Magazines are a living, breathing example of writing. They arrive in the mail like a gift, and they surprise your child with new stories every month. Even better, many of these magazines accept submissions from children. I can’t emphasize how important this is. The most important thing for a writer, of any age, is to feel like they have an audience. And you, Mom or Dad, are a good audience, but if they could publish what they’ve written between the pages of a magazine they love, you will give them a thrill and a confidence boost they will never forget. Even if they don’t publish in a magazine, it gives them something to aspire to. It makes them realize that other kids are publishing in magazines, which makes them feel like writing is something alive and vibrant, not something dead on a page. Highlights is another good one, for kids up to age 12, and you can check out their submission policies here. Creative Kids is written ENTIRELY by other kids, kids from all over the world, so this is a great one to read and to submit to. It’s a little bit older, though, aiming at ages 8 – 16. 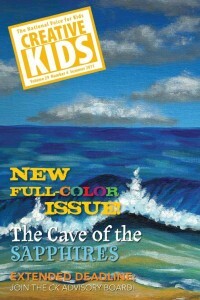 Stone Soup, a bi-monthly magazine, is another one written entirely by kids. They have a long list of guidelines for how children under 14 can send them work. A place is one of the most important things to a writer. I myself only write in two places: at my desk or at the coffeeshop. Place is a trigger that tells my brain it’s time to write, and if you set aside a special place for your child, it will encourage them to write more regularly. Or set up a small table in their fort, or in the garage. Anything they can call their own. Also, buy them a few notebooks of different shapes and sizes. A big one with lines for when they’re feeling ambitious, and a small one for jotting little notes (I like Moleskins). Buy them (or let them buy) a special pencil or pen. It’ll make a big difference when they have all their own materials. Many cities have creative writing seminars for children. Check your local listings. See if your library has one, and if they don’t, ask if they could start one. A great one is called 826 National, set up by Dave Eggers. The stores are themed wildly, with pirate or astronaut gear, and they have regular creative writing lessons taught for accomplished writers (I know a lot of creative writing graduate students getting their MFAs and Ph.D.s who taught at 826). It’s natural your child wants you to read their work. And of course you’ll listen to them read, or read it yourself. But how you praise their work makes all the difference. The biggest mistake parents make is to praise in general terms. This is the worst possible thing you can do to your children’s writing. Let me tell you what will happen: they will addicted to the praise and seek that rather than the reward of creative work. They will also be disappointed by general praise because it seems like you didn’t read their story at all, and you’re praising them as a person rather than the work itself. If your child wanted to be a firefighter, wouldn’t you take them to meet firefighters? If your child wanted to be a policeman, wouldn’t you take them to see policeman? So find some living breathing writers! Someone you know must write for magazines or newspapers or be a fiction writer or write a regular blog. Have your child draw up a list of questions and interview this writer. It will thrill them. 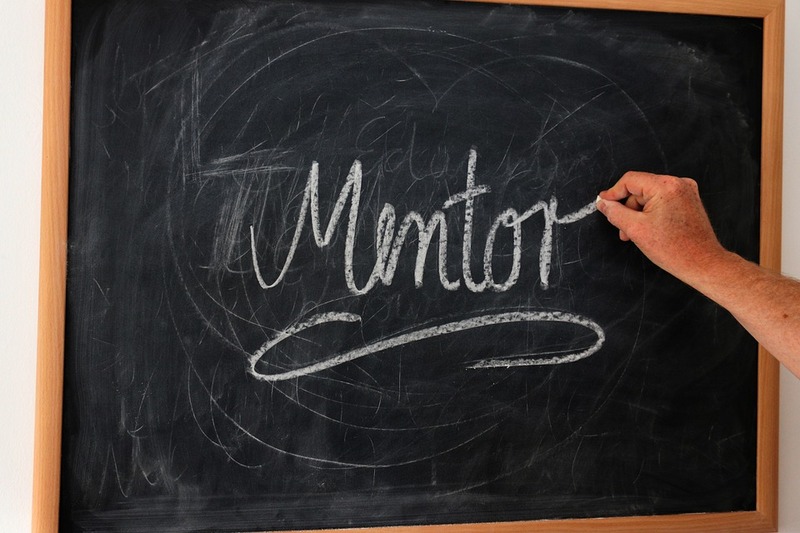 Now, maybe the mentoring will be pretty low key — maybe they’ll ask them one question once a year — but the point is that it will get your child excited about writing! When I say “encourage reading,” I don’t mean let them read a book a month. I mean have them read multiple books a day. When I was nine or ten, I remember going to the library with my mother, checking out eighteen books (that was the limit), and reading eleven books that day. Yeah, that’s right. I read eleven books in a day. Eleven is still my record. Now true, they were small books. But that’s beside the point. The point is that I read until my eyes went blurry. I only took breaks to go to the bathroom and to eat. I was a maniac. I probably spent ten hours reading that day. Because you don’t become a writer by writing. You become a writer by reading. Writing always happens after the reading. If you feed your child’s desire to read, they will have the foundation and creativity that will feed their writing. Since so many of my best emotional experiences came from books, I wanted to become a writer. One last very very very important tip: The only way to have them become a reader is to limit screen time. If you have the television on, if they are on their phone or playing videos games, they will never become a reader. Have strict limits on screen time, and they will explore reading and love it. One of the best things that ever happened to me was that my father was my teacher in 5th grade. He was an elementary school teacher, and for one of his activities, he had the entire class write fiction stories. Then he self-published them all in a hardback book. I still have that book. My story is about flying a bi-plane into space with my best friend to stop a laser from shooting and destroying earth. It might be the best story I’ve ever written. Try to replicate that in your kid’s school. Ask your kids teacher whether a day can be designated when students can read their stories out loud in front of their class. Then suggest taking those stories and compiling them in a book. Self-publishing is very easy these days. If you send a file to anyone, they should be able to print it without too much cost. Or you could go to Fed-Ex and get a bound copy for even cheaper. By having your child read their story in front of their peers, they are getting an audience even closer to them than publishing in a magazine. Their peers can tell them what they think of the story, can praise them for how good of a storyteller they are. They will really feel like a writer. If your child is a true writer, they probably don’t need writing prompts. They probably have so many ideas in their head they need to wear a helmet or their brain will explode. But if they get in a funk, give them some writing prompts for kids. 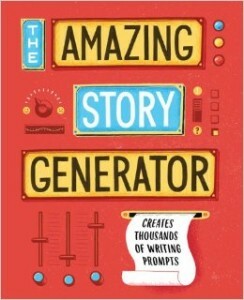 If you don’t like the online ones, or want to give your child a gift, check out this amazing book: The Amazing Story Generator: Creates Thousands of Writing Prompts . If you’re more excited than your kid about creative writing, then sending them to a camp sounds like torture. But if they cheer when you suggest it, by all means send them. Google to find Writing Camps in your area. I live in Orange County, and found one in Irvine and one in Los Angeles. For a national organization, check out Writopia. They have workshops for kids aged 6 to 18. If you have a daughter, send them to Writegirl. If you haven’t heard of writing boardgames, don’t feel too bad. I mean, they are a strange thing. But I have a confession: I own a lot of them. Not only that, but I’ve used them to teach kids how to write before, too. They’re awesome. Jabberjot is one of the best, but it’s more complex, so probably more appropriate for older kids. The concept is that you’re given three words and three images plus a theme, and you have to fit all of those things inside a story. In the game you’re only given one minute to do it, but for kids you can let them have five minutes or so. 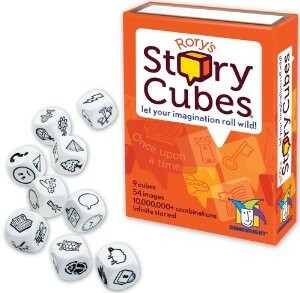 A simpler one is Rory’s Story Cubes . It comes with a whole bunch of dice with pictures all over them, and you roll the dice and have to combine the pictures into a story. It’s great fun, and kids love it. I just shared this on Twitter. I have a five-year-old son who’s just starting to pay attention to his journal where he never did before. 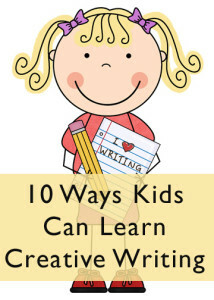 Pictures mostly but some words….this is a great list of ways to encourage kids to write. I especially like your suggestion to be very specific with praise when you’re pointing out how much you enjoy the child’s writing. I have my son subscribed to National Geographic for Kids but had no idea that writing magazines even existed for kids like the ones you mentioned above. I’ll have to check them out. Will I start writing creatively.